Vekoma has a large in-house engineering department with over 125 engineers divided over various disciplines Vehicle Engineering, Track Engineering and (Control) Systems Engineering, R&D and Engineering Support, working from the corporate offices in Vlodrop and a satellite office in Breda, the Netherlands. Preparing (analytical or numerical) static or dynamic calculations to determine load and/or motion analysis applicable to a system. Preparing (analytical or numerical) stress analysis followed by fatigue or strength calculation for components that are part of the mechanical (Sub-System). 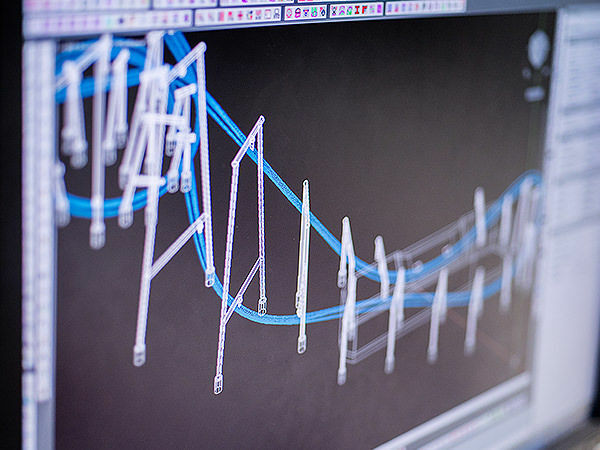 Validating the design of the rides using Failure Modes, Effects Analysis and Hazard Analysis. Description of the entire ride logic including the Theory of Operation with respect to timing, capacity and safety. Within these divisions responsibilities are coordinated by Division Managers and Unit Managers and performed by Lead Engineers, Design Engineers, Control System Engineers, Electrical Engineers and Draftsmen.